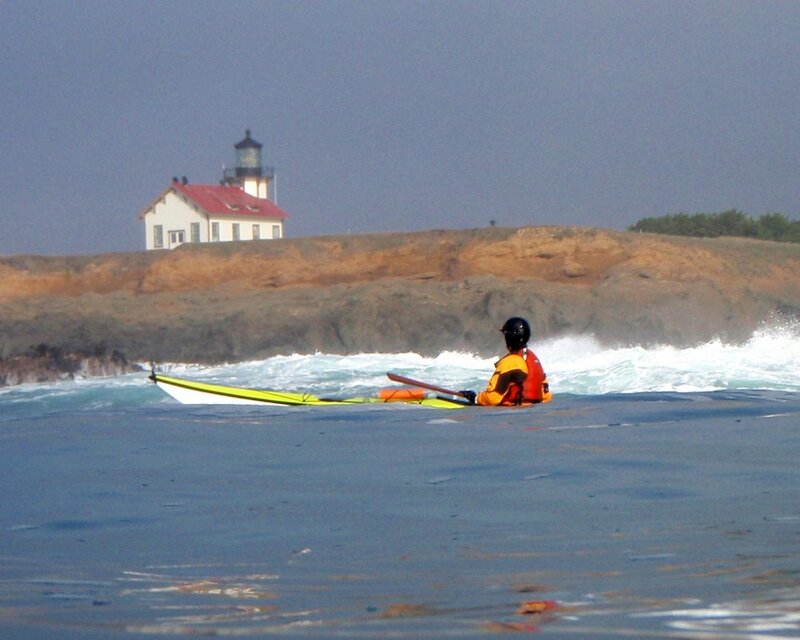 Enjoy a mystical journey on the Mendocino Coast in a sea kayak. Explore dramatic geological features, be intrigued by marine wildlife, and inspired by rugged beauty. 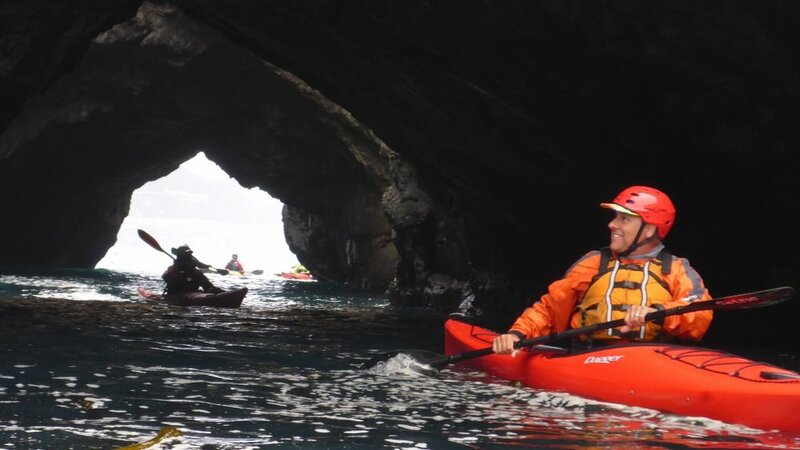 Explore sea caves, arches, sea stacks, rock gardens, and secluded coves on the Mendocino Coast with Liquid Fusion Kayaking's Cate Hawthorne and Jeff Laxier. 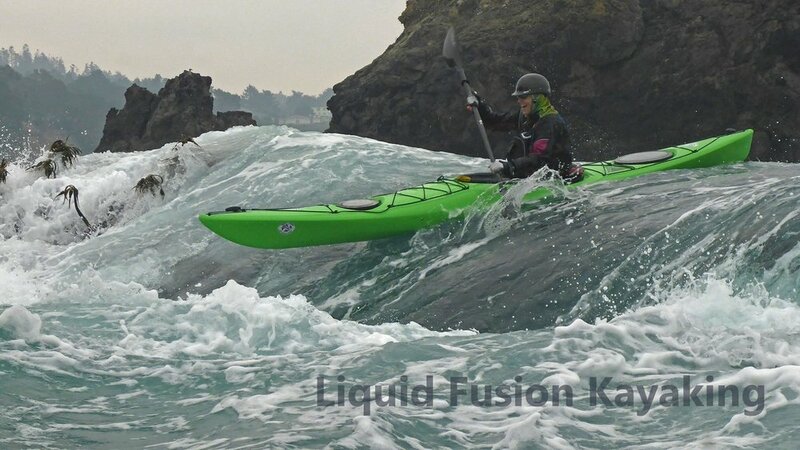 Sea kayak on the Mendocino Coast with Liquid Fusion Kayaking and get expert instruction and guiding from a local's perspective. Our sea kayak tours are customized to the participants' interests and skill levels. To maximize your experience, here are some recommendations for planning your sea kayaking adventure with us. Those who have not had formal kayak instruction and previous sea kayak experience. Must be 14 years of age or older. Whitewater of the Sea - aka Rock Gardening. For those that are adventuresome and willing to get wet this is a super fun option ($100/person). Those who sea kayak regularly - 1-2 times per month - Usually paddling on protected waters or the ocean on a calm day. 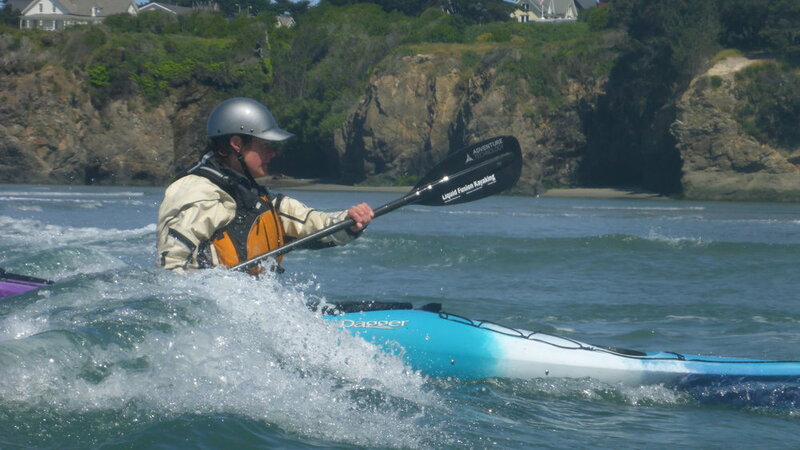 The Art of Sea Kayaking Mendocino - join us for one or all of the series. BCU 3 Star Sea or ACA Level 4 or higher with experience paddling in dynamic waters and a reliable roll. 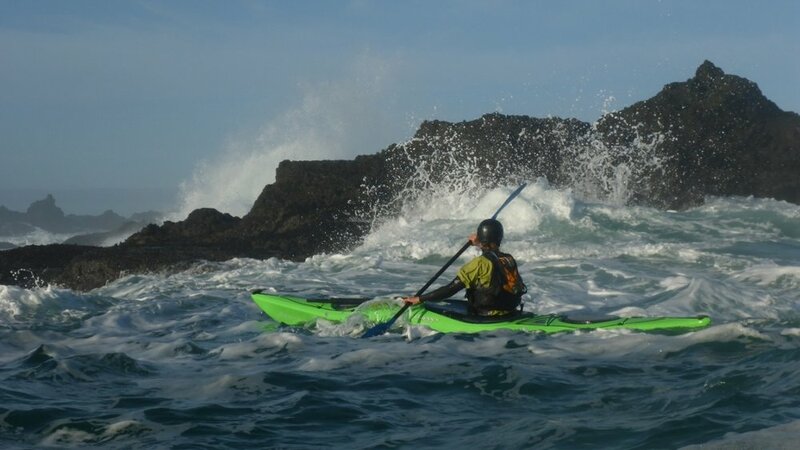 Whitewater of the Sea - Ocean rock gardening in whitewater kayaks! Join us for our 3 hour Whitewater of the Sea Adventures or one of our Specialty Rock'n Surf Safari's. **Sea kayak and equipment rentals are available for our tours. Sea Kayak Rentals are $50/day and Gear Rentals (wetsuit/helmet/splashtop/boots) - $10/day.